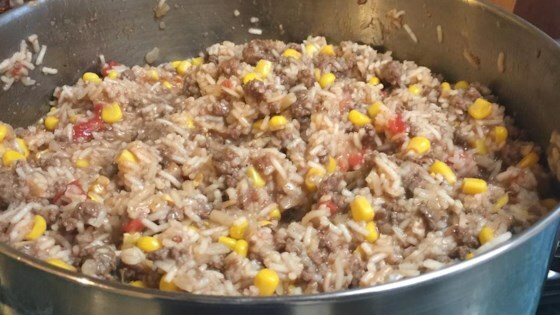 "Tasty rice dish with ground beef, tomatoes, corn, and green bell peppers. Great on its own or wrapped in a warm tortilla." A little bland. But not bad. I added some cumin and fresh cilantro, which made it a little better. Pretty good. I served it in tortillas as burritos.